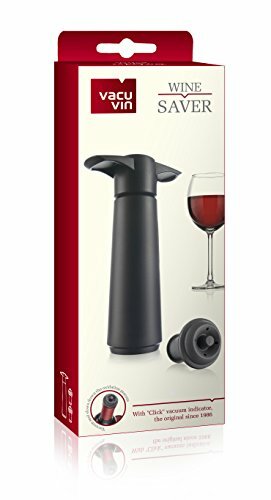 Vacu Vin Wine Saver - Moar Stuff - You don't need it but you know you want it. Believe it or not, there are actually people out there who don’t consider a bottle of wine a single-serving (yeah, surprised me too). 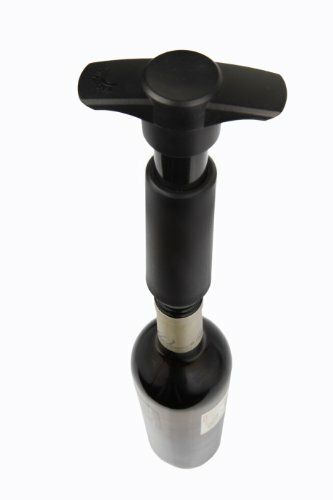 If you’re one of them, you need the Vacu Vin Wine Saver. It turns out that once wine is opened it begins oxidizing. This oxidation basically changes the color and flavor of the wine. Rarely for the better. The result? Well, you might end up dumping the rest of the bottle because it just doesn’t taste right when you decide to have a second glass in a week or two. 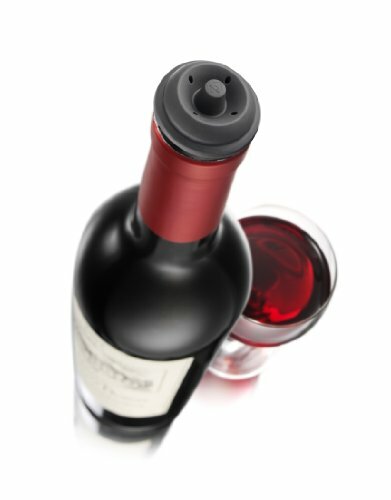 The Vacu Vin Wine Saver prevents this problem by extracting the air from an opened wine bottle and re-sealing with a reusable rubber stopper. Well, there you go. 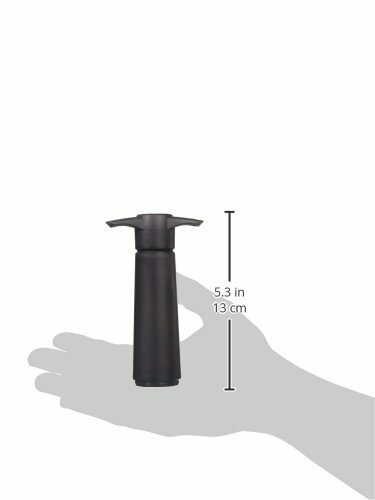 So, before you crack open that next bottle of wine, you better get yourself a Vacu Vin Wine Saver. Otherwise you risk tossing out the unused portion when it goes bad later. 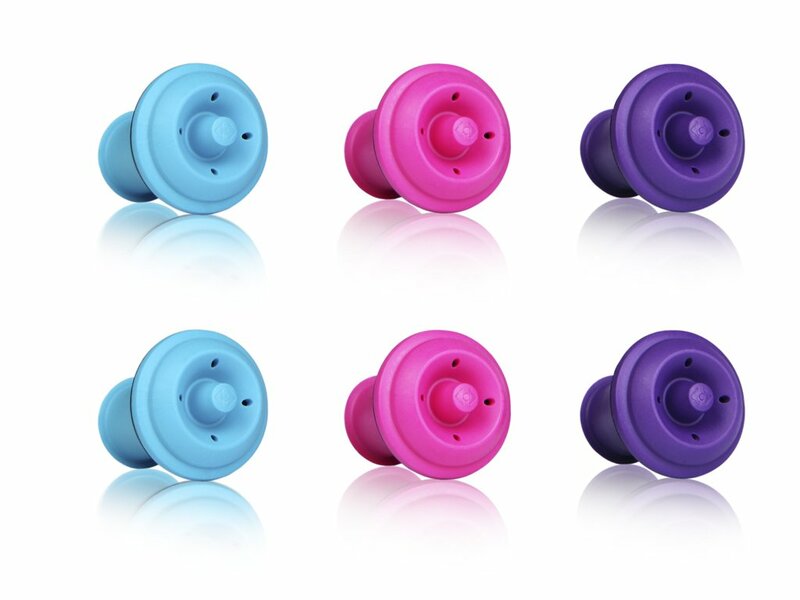 If two stoppers isn't enough for you, you can get this six-pack of extra stoppers for about $2 each. 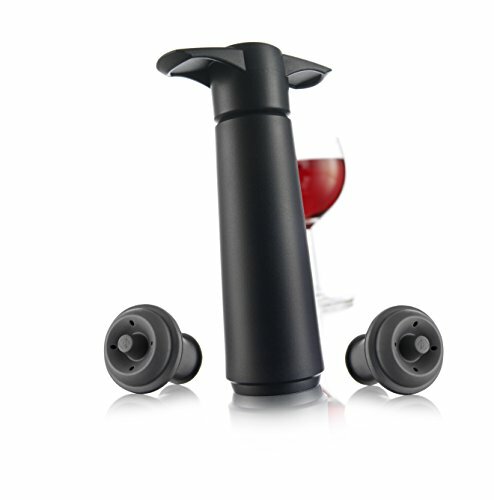 Besides, the vacuum pump and two stoppers costs less than a decent bottle of Cab. It’ll probably pay for itself in no time at all. Dimensions: 2.8 x 1.4 x 5 inches. I don’t know why there would be any wine left but, it keeps any wine left in the bottle fresh.